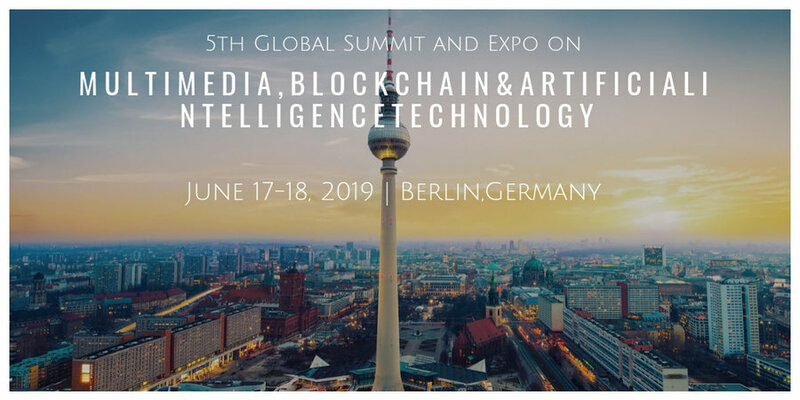 With the amalgamation of peerless speakers of Multimedia-2019 Conferenceseries is privileged to announce its “5th Global Summit and Expo on Multimedia, Block Chain & Artificial Intelligence Technology” which will be held during June 17-18, 2019 in Berlin, Germany. Multimedia 2019 the premier conference for multimedia & Artificial Intelligence experts and practitioners across academia and industry with an extensive program consisting of technical sessions covering all aspects of the Multimedia field in forms of oral and poster presentations, tutorials, panels, exhibits, and workshops bringing into focus the principal subjects of investigation, competitions of analysis groups on difficult issues, associated conjointly an interactive art program stimulating artists and scientists to fulfill and find out along the frontiers of inventive communication. Multimedia Conference 2019 is pleased to invites Computer scientists, researchers, educators, professionals, practitioners, Animators, Scholars, graphic/Multimedia designers, game developers software developers, artists and students to exchange ideas and be informed about the latest technologies and achievements. The Multimedia conference will be structured along the 24 major tracks covering different aspects related to Imaging and Image Processing, Computer Vision and Pattern Recognition, Multimedia Applications, Artificial Intelligence & Machine Learning, Natural language processing & Tensor flow, Block chain Technology ,Artificial Intelligence in Block Chain Technology ,Block chain for Financial Services, Crypto currency, Block Chain Technology for 3D printing, Block chain for Agriculture Forum, Bitcoin security, Block Chain Technology Applications, Block Chain Technology in Healthcare, Multimedia Cloud and Big Data, Block chain and Internet of Things, Multimedia Systems & Services, Computer Games Design & Development, Computer Graphics & Animation, Virtual Reality & Augmented Reality.